Best known for roles in much loved series Smallville and Warehouse 13, Canadian born Aaron Ashmore’s acting career began in his youth, appearing in a small role in the Aruthr Hiller-directed film, Married to It. From there, he appeared in Canadian television productions such as Are You Afraid of the Dark? and Due South before making an appearance in an episode of the Nickelodeon series Animorphs. Ashmore’s television career flourished with further roles in series and TV movies such as Crime in Connecticut: The Story of Alex Kelly, Love Letters, Emily of New Moon, Run the Wild Fields, The Famous Jett Jackson and La Femme Nikita before transition into more film roles. 2001 saw Ashmore appear in the films The Safety of Objects and Treed Murray, both roles expanding upon his versatile repertoire. In 2004, Ashmore appeared in 4 episodes of the series Veronica Mars as the character Troy Vandegraff. Ashmore’s appearance on the series proved incredibly popular and lead to appearances in two episodes of The West Wing. 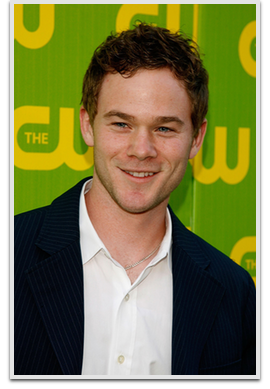 Ashmore was next cast as Jimmy Olsen in the teen superhero television hit, Smallville. Appearing in over 50 episodes of the series, Ashmore’s Jimmy Olsen was an integral part of the mythology the show developed. In 2011, Ashmore was cast in two cult hits, both airing on SyFy in the US: Lost Girl and Warehouse 13. Portraying the character Steve Jinks in Warehouse 13, Ashmore’s role expanded from recurring appearances throughout season 3 to the main cast in seasons 4 and 5. Aaron Ashmore can next be seen in the Alejandro Amenabar directed film Regression.